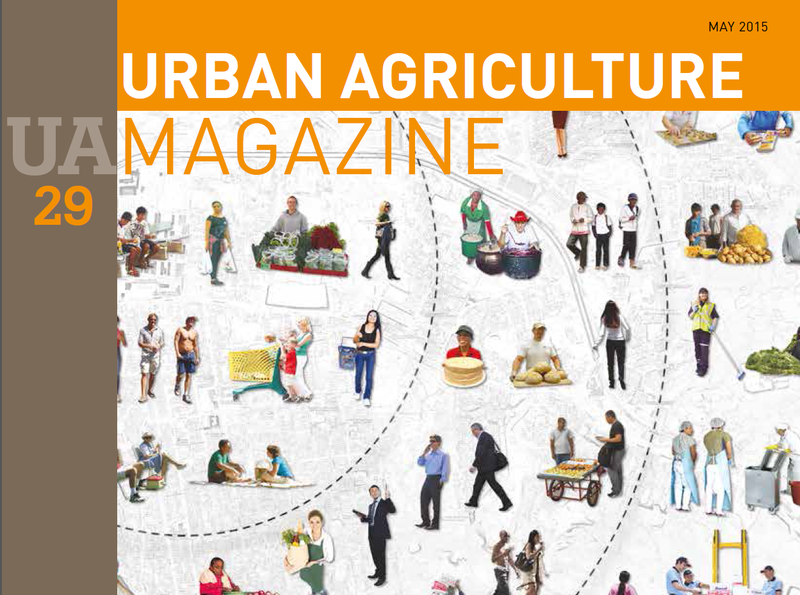 A new issue of Urban Agriculture Magazine no. 29, which is a special issue on city region food systems. This issue addresses the growing attention for policy and practice approaches that focus on food issues in urban areas from a city-regional perspective, taking into account possible contributions from urban and periurban agriculture and a strengthening of urban-rural relations. Food is increasingly an urban issue. This is gaining broad recognition among local, regional and nationalgovernments, international and support organisations, civil society, the private sector, consumers and academia. Evidence for this recognition can be found in cities in all regions of the world, where policy and programme initiatives are being undertaken in various fields related to urban and periurban food production and supply – as many of the articles in this Magazine illustrate. Today I gave a Pecha Kucha. A Pecha Kucha is a presentation of 6:20 with a series of 20 slides that change every 20 seconds. It is an unforgiving format that is admittedly probably engaging and potentially energizing for the audience but as a speaker it offers no space to engage with, or respond to, the audience and no room for error in your speech as the slides keep rolling even if you are not quite ready for them to! I get the appeal and the value but for an academic presentation, this is a terrifying format. Indeed, I found it so challenging to frame an academic paper/idea this way that I instead opted to give what amounts to more of a political speech. To further prepare, while on the train to the conference, I tried to write out the key ideas of the talk, without the limitation of having to shape ideas into 20 second with accompanying images. Point 1: We need a transformation in the food system and this required attention to governance The talk starts from the position that we need a transformation towards sustainable and just food systems. I then argue, taking from transition theory, that governance plays an important role in facilitating or blocking such transformations. Point 2: The doughnut offers a framework to consider environmental and social factors I then present Haworth’s idea of a doughnut: the space that is made between the planetary or environmental boundaries (outside the doughnut) and the social values or foundation (inside, or the doughnut hole- always the best part: Tim Bits, anyone?). The doughnut is a framework that serves to identify the safe and just space for us to work within to respect people and the planet. Point 3: We need to embrace the idea of multiple solutions pathways The doughnut is not prescriptive. It offers the possibility for multiple pathways, and this is key for a just sustainability transition. These pathways need to be developed with and by people and address peoples’ practices in the everyday world. Point 4: We need governance arrangements that can empower/support this solution pathways However, the architecture of governance is not able to support such pathways in its current arrangement. Key reasons for this include: lack of coherence and coordination, policy silos, overlapping mandates, competing understandings and interpretations of the problems, strong economic interests and an unreflexive commitment to productionism. Furthermore, governance has entered the realm of the post-political meaning in part that the debate has become polarised, or conversely framed around creating consensus. Both results arguably lead to a situation where conflict and tensions that necessarily exist around the tough decisions we need to make to support sustainability transformations are masked and this is unhelpful to supporting transformation. Point 5: As scientists, we contribute to the post-political nature of governance In science and academia, there is a culture of studying complex problems and working towards answers that have narrow ranges of uncertainty: we tend to work towards simplicity. The problem is that the results of the research are never simple and if they extend beyond the labs and our offices they are applied to situations that are highly complex and which produce numerous uncertainties. In suggesting there is a final or correct answer to a problem we ignore this complexity. More problematically, we create a body of science that serves to justify almost any policy decision as science based. Point 6: We need to acknowledge that our work is political. 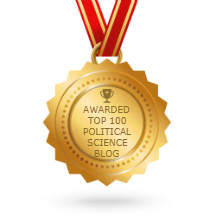 Scientists want their work to have impact but many refuse to acknowledge the political implications of their work. By trying to address complex socio-ecological problems we are engaging in the realm of the political. We need to be aware of this. We do not need to change our science necessarily but rather think about the potential impacts of the science. It means that we need to get out of our own silos and discuss the implications of our work with other scientists and importantly, non-scientists, notably those likely to be most affected. Point 7: We need to politicise governance Those of us working on governance need to recognise the post-political nature of governance and work towards creating governance arrangements that are capable of addressing complexity, conflict and uncertainty. Such governance arrangements need to be organised in such a way so as to support the multiple pathways through the doughnut. Point 8: What characteristics should these governance arrangements have? Well this is the big question! I have just written a paper about this with an Australian colleague, Ro Hill. I will post our answer to this big question when the paper is published! Off to Copenhagen to address another conference on how to feed the world in 2050. This time Prof. David Barling and I are looking at food supply governance and identifying governance trends and challenges for the future. Invitation to learn about Fast Food in Ghana’s Restaurants (November 20th at 11:00). Objective: To accelerate the development of innovative and interdisciplinary methods, metrics and tools to advance scientific understanding of the linkages between agriculture and food systems, health, and nutrition outcomes, and thereby inform policy and programmatic actions in low and middle income countries (LMICs). Food has proven to be a complex, even wicked, policy issue which encompasses multiple policy domains. The call for a more integrated food policy away from mono-disciplinary focus on agricultural, international development, or health is increasing. Food policy integrates nutrition and public health, agriculture, environment, ethics and social justice, trade, ecology, spatial planning, climate change, water management, and energy and therefore needs the analysis of all policy domains involved, as well as cross-policy domain research. 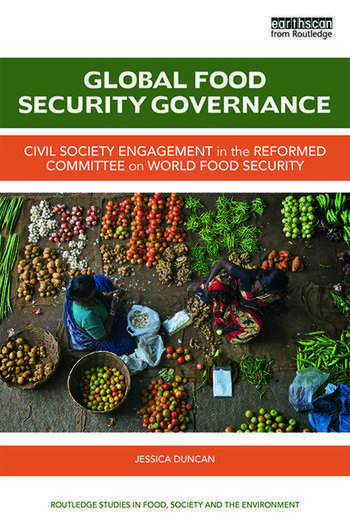 The interconnectedness of relevant policy domains means that food represents a policy challenge as well as a governance challenge at all levels (i.e., local, national, international, multinational). As such, it requires not only the setup of cross-boundary governance arrangements between traditional institutions and administrative competences, but also the analysis of possible gaps between institutions, deadlocks, miscommunication and/or lack of coordination. 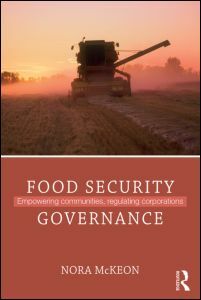 Food policy and governance issues cross different levels and scales: from global discussion about food security, to local water management issues; from acute problems to looming catastrophes in the distant future. All these interconnected linkages and cross-overs pose many challenges to state actors, civil society, and the private sector. In this section we will to explore the variety of issues that arise when working towards integrated food policies. We welcome panel and paper proposals that analyse cross-policy and governance issues in the field of food and agriculture. We are looking for proposals that address participatory governance for food security, integrated systems approaches for food governance, local governance arrangements for sustainable food systems, or food governance in a changing geopolitical context.